Customer Service, Quality Control, Attention to Details and Company Protocol, Meeting Deadlines and Follow-up—necessary steps to achieve a desired result in many business endeavors. 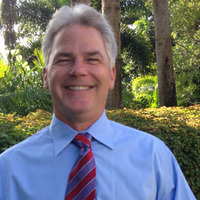 Scott Woodward has mastered these skills from prior work experiences in the Telecommunications field from Georgia to Florida. Working on circuit board and telephone operations for major companies as Stromberg Carlson and Nokia Siemens has allowed Scott to operate and understand how complicated systems function from start to finish, akin to a detailed Real Estate Transaction where step by step procedures must be carefully followed. Buyers and Sellers will feel confident that collaborating with Scott Woodward will guarantee working with a highly respected industry professional who will be both supportive and thoroughly knowledgeable throughout the entire listing and selling process.